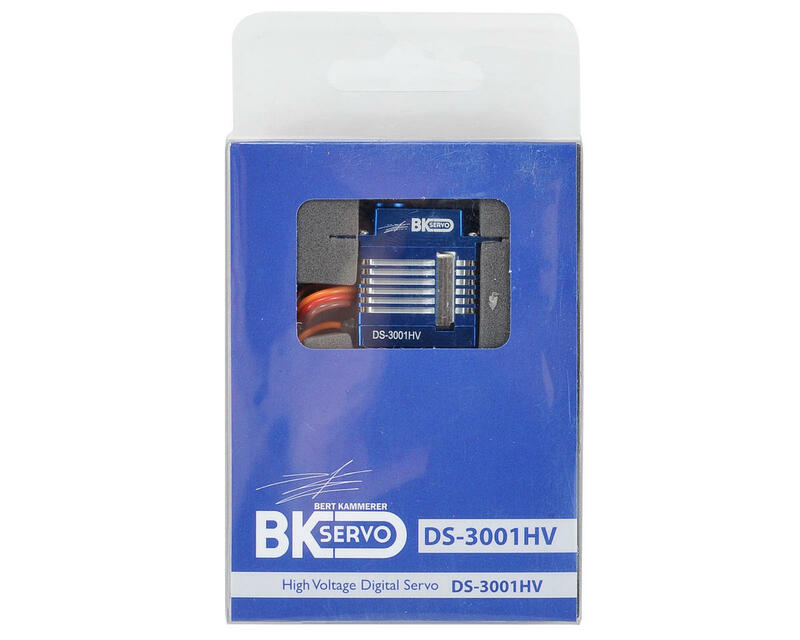 This is the BK Servos DS-3001HV High Voltage Metal Gear Digital Micro Cyclic Servo. 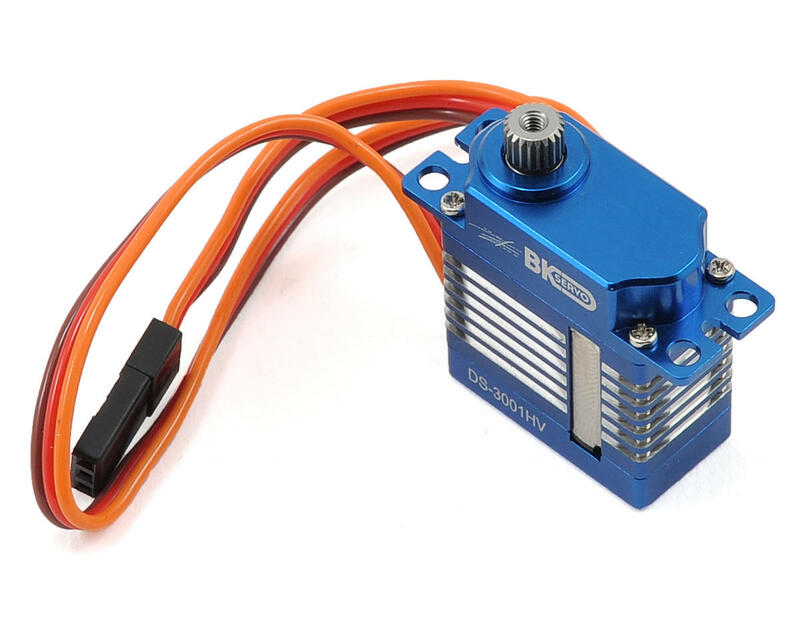 BK micro servos feature a mini size servo motor shoehorned into a micro size servo case, this allows for blazing speeds combined with good centering and plenty of torque. This servo features a micro-size upper case, making it suitable for any helicopter that uses a micro size servo. 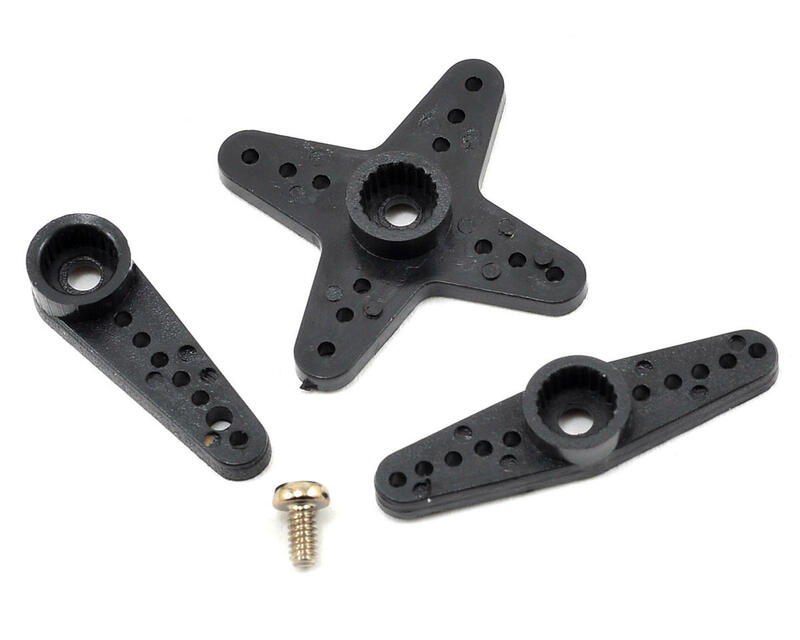 Among the coreless micro servos, these guys are the best in performance. But if you can afford it, go for XPERT CI-2401-HV brushless micro servos. Those are the best on the market. And use KST 215MG gears if you want better rigidity. Solid performer! Good price, especially when on sale. Hard to find a better quality servo with these specs.